Serious bummer . . . . So I was all psyched to put on the "Renaissance Sorceress" costume I found in iParty's post-Halloween bargain bin last year. But nay, nay, say it's not true! The damn thing was missing two of its three parts. Bodice--check. But "cone hat with gem" and "choker with gem"? Nope, not there. So then I wasn't sure what I was. I looked unlike a Renaissance Sorceress, which made my so-called "great deal" seem like a rip-off. 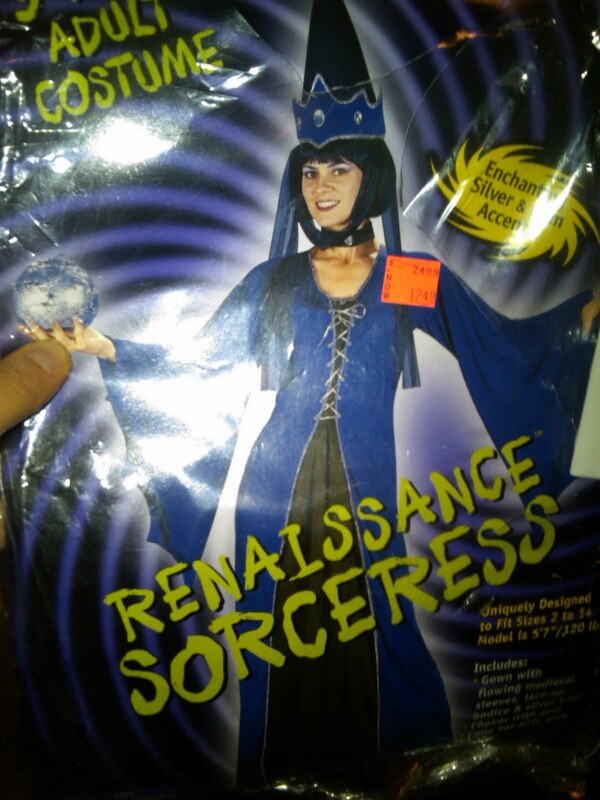 Don't even ask me what a Renaissance Sorceress is supposed to look like, because as far I know, people who tried to predict or alter the future back then were either dismissed as kooks or persecuted as witches. We live on one of those destination "Halloween streets," so there were tons of people around. As I was passing out candy, I got some "Hey, Elvira! 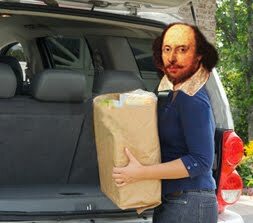 "s, which was OK. After a while, I just started saying "thanks."